With only 21 shopping days remaining until the big day, I'm back with my second gift guide, and this time it features my top lifestyle present ideas including some home and fashion bits. I've really enjoyed putting this one together, so let's get into it! If your gift recipient has hair, chances are they could do with a new hairdryer. I've had my Revlon one for about 4 years now and it's starting to smell a bit like fire, so I was over the moon when I received this one* from LanaiBLOW. 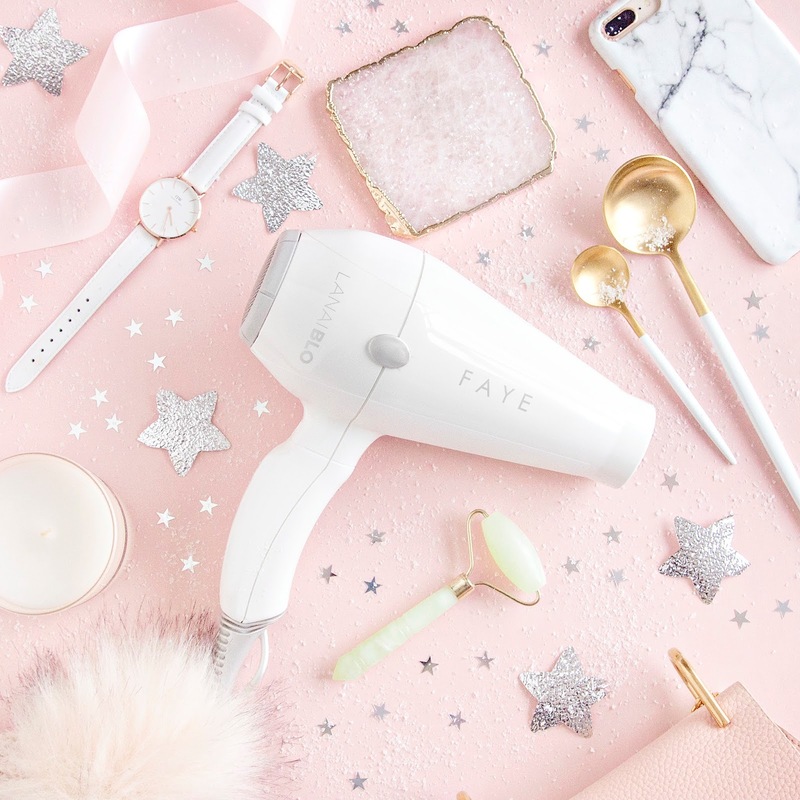 This hairdryer would make a great gift for a number of reasons, it's super powerful, it has anti-static technology and most importantly, it can be personalised with a name or message of your choice! Another beauty tool which would make a lovely gift is a Jade Roller. When used regularly, a jade roller relieves tension and increases circulation of the face, which is supposed to help to combat wrinkles and fine lines. I haven't been using mine for long enough to know if it works, but it's certainly soothing to use, and it looks lovely on the bathroom shelf! 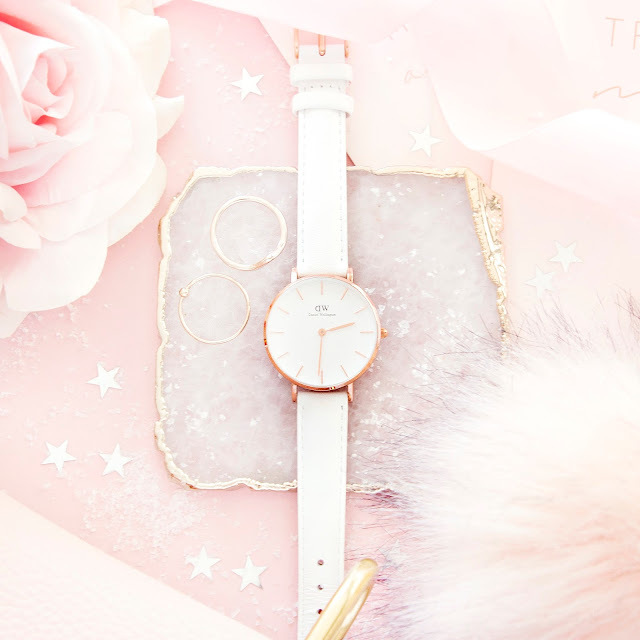 A watch is such a timeless gift to give to someone (pun intended) and I think that this one* from Daniel Wellington would make the most beautiful choice because it's so classic in style, and the white strap and rose gold hardware make it easy to pair with almost any outfit. Daniel Wellington Watches are always really well made and feel very luxe, so it's sure to be a gift that will be treasured for ever. Socks are another gift that are always well received, and these soft Cashmere ones from The White Company are the best of the best, seriously, when I wear them I feel like a warm kitten is hugging my feet. They come in a few different colour variations, so you're bound to find the perfect pair. There are so many beautiful homeware gifts to choose from this year that it can be hard to know where to begin. The safest option is always a candle, in fact I'm yet to meet a person who doesn't love them! 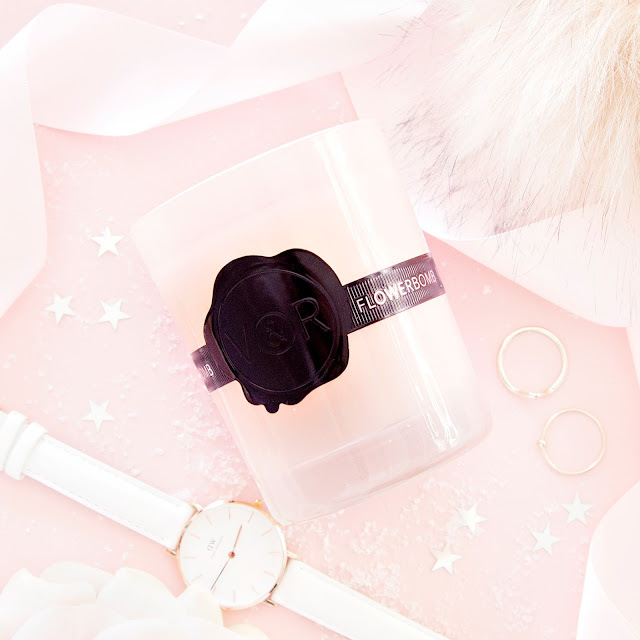 This year, my top pick is actually a candle version of my all time favourite perfume, Viktor and Rolf's Flowerbomb. Fans of heavily scented candles will love this one as it smells a lot like the perfume, floral and very sweet. When on the hunt for homeware gifts I always start with my two favourite stores, Oliver Bonas and Anthropologie. This year I've chosen two gifts from Anthropologie, the beautiful Geode Coaster, which would make a wonderful addition to any coffee table, and this mug which feels so luxurious with its gold handle and rim. 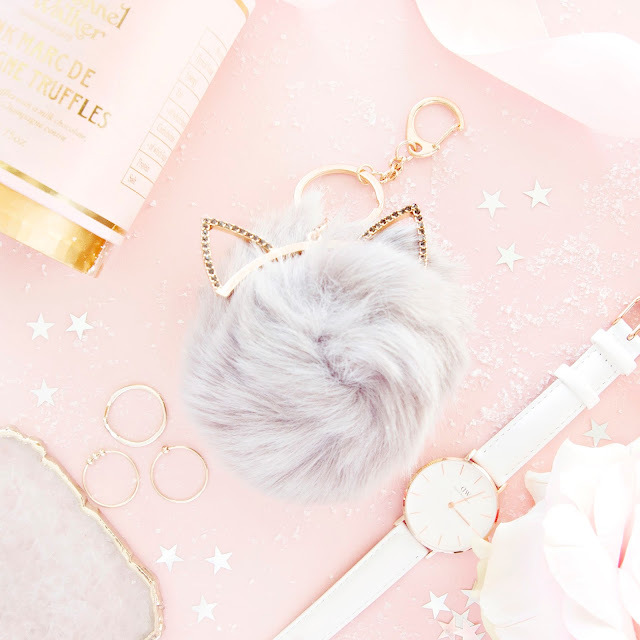 Pom Pom key rings have really taken off this year, and I think this one with little cat ears would make an amazing stocking filler! Unfortunately the keyring I have photographed isn't available online, but you can pick it up in New Look stores. Phone cases also make lovely stocking fillers, and my favourites come from Redbubble and Skinnydip. 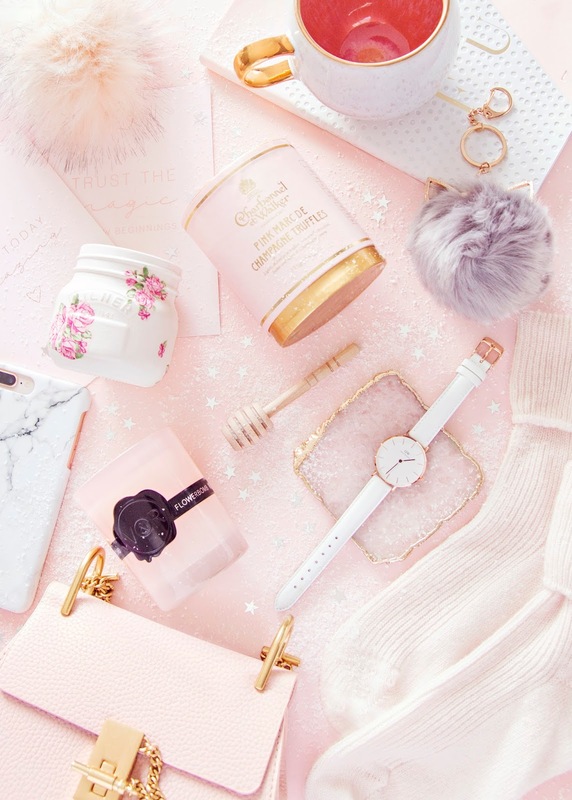 I personally love a chic marble effect case* but you can get pretty much any design you can think of, you can even create a totally personalised one on websites such as Photobox. Last up, when in doubt, you really can't go wrong with a lovely box of chocolates, and Charbonnel and Walker are the kings of beautiful boxes. 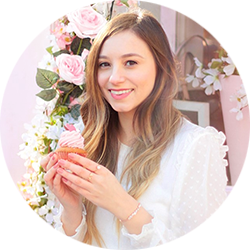 Their Pink Marc de Champagne Truffles are a gift just waiting to be given, especially as you can now buy them in a heart shaped box.